ST. PETERSBURG � They were lined up along the right field line of Al Lang Stadium like an all-star squad at a pregame introduction. They stood behind Mayor Bill Foster in the sweltering Friday morning heat while they were introduced as the roster of athletes and VIPs who will help market the city to sporting event organizers. One of Foster's chief goals is to produce more revenue for city sports complexes that sit empty for most of the year. Winky Wright, former undisputed light middleweight boxing champion. 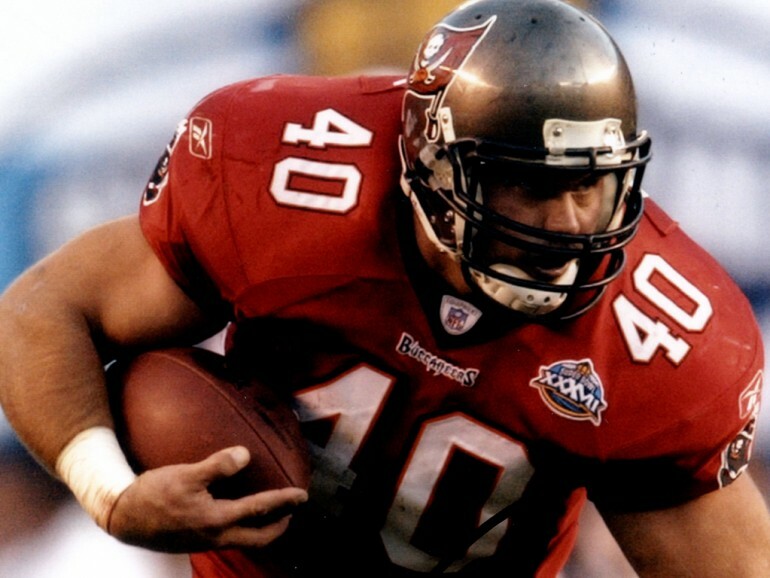 Mike Alstott and Shaun King, former Tampa Bay Buccaneers. Gary Sheffield, former New York Yankee. Fred McGriff, former Tampa Bay Ray. Michelle Smith, two-time Olympic gold medal-winning softball pitcher. Ed Baird, helmsman for America's Cup champion Alinghi. Dan Wheldon, Indy 500 champion. Allison Jolly, Olympic gold medal-winning sailor. Jim Leavitt, former football coach for the University of South Florida. The 42-member board was assembled by Jim Neader, Foster's former campaign manager who was recently named the city's $50,000-a-year sports consultant. Neader, a former sports agent whose clients included Sheffield and Dwight Gooden, also put sports executives, promoters and activists on the panel. It will work to recruit and promote tournaments and championship events to St. Petersburg. "Youth sports alone is a billion-dollar industry," Neader said. "It's about time St. Petersburg gets a slice of that." Athletes such as Lincicome will use their contacts to try to lure events to town. "I'd love to have an LPGA golf tournament back in Florida," Lincicome said. "What better place than St. Petersburg?" Foster said the St. Petersburg Sports Alliance is not a city board. It won't require any staff time, he said, although Clarence Scott, the city's leisure and community services administrator, sits on the board. The type of events that Foster thinks the alliance can lure are NCAA Final Four basketball tournaments, University of South Florida football games, high school football state championships, yacht racing, tennis championships, golf tournaments, boxing events and swim meets. Foster also has been busy trying to lure an international team to St. Petersburg that would play Major League Baseball teams during spring training. Last week, he and Neader flew to New York City to meet with three MLB executives to discuss the prospect of an international team becoming part of the Grapefruit League, the slate of teams that play spring training in Florida. Foster also wants to attract qualifying games for the 2013 World Baseball Classic. Those games between international teams would begin as early as next year, he said. If Foster gets MLB support, then it would be easier for him to recruit an international team, such as the Dutch national team, to play at Al Lang Field, which had been the spring training home of the Rays before they left for Charlotte County in 2009. He's still waiting for approval, but Foster said he's confident, predicting that one international team will play major league baseball by 2011. He said two international teams might be playing ball next year. While that might happen, the chance of playing Major League Baseball teams seemed remote, at least in the near future. Pat Courtney, an MLB spokesman, said no non-major league team has been included in either the Grapefruit League or the Cactus League in Arizona. A few years ago, Chinese national teams practiced with some major league clubs in Arizona, but didn't play against them. The reason is that there are numerous logistical problems that would need to be worked out, Courtney said. Schedules would have to be worked out and the players union would have to approve it, as well. "There's a lot involved," he said. "We'll have to get back with them on that." Neader later acknowledged that any international teams that do end up in St. Petersburg probably won't play MLB teams, at least not next year. "That's a down the road thing," Neader said. "That's not on the front burner."